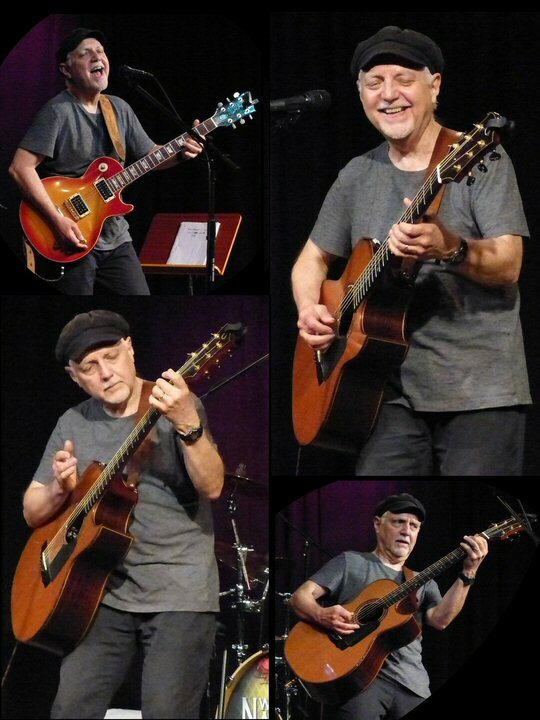 Guitar great Phil Keaggy performed songs from his forthcoming crowd-funded album All At Once to an attentive audience at World Music Nashville on March 11, 2016. In the early 1970’s Phil was in the power trio Glass Harp steadily growing their secular success before Jesus stepped in. A few years later Keaggy became a born again Christian and committed much of his music to his new found faith. Today Phil is one of the most admired acoustic players in both the religious and mainstream worlds. 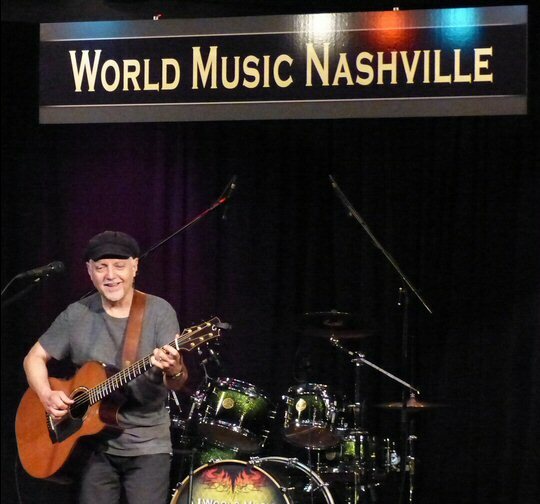 Phil Keaggy has found a home at World Music Nashville in Bellevue. The yellow room at World Music Nashville was inviting with its half circle of seats around the fully equipped stage. A subtle scent of candles was in the air. Before the concert Phil came out to say hello to fans and friends who were in attendance as this was a local show for Keaggy. “Thank you everybody,” greeted Phil who stated that this venue was one of his favorite places to play. Armed with an acoustic Phil opened with a strong “Strong Tower” where he added loops and handled his own call back vocals as he tapped the body of the guitar for rhythm. The melodic “Metamorphosis” meandered on lovely layered leads as the pretty piece progressed. Keaggy crafted bass notes for the merry “Mercy” that featured an array of tricky techniques. Keaggy chatted a bit about the creative process as he tuned down the G to E for the crisp and colorful “Southern Landscape” from his Music To Paint By series. Phil smiled a bit as he tapped and touched the strings for the beautiful blends within the piece. He mused, “what would have happened if I had my middle finger?”. Many know that Phil lost a large part of his digit on his strumming hand in a childhood accident that involved a well pump. “Paka” was another alternative tuning track that was played in tribute to his Dad. “Try something new, you don’t know it so I can get away with a lot,” he chuckled. Keaggy continued that this experiment had a 5/4 riff. Phil asked fans to sing the hook “I Love You” as he layered loops into the mix. The next love song was also new and nuanced. Phil mentioned that he collaborated with a number of people on All At Once as he presented “Stay Home Baby”. This tune answered the question of what happened to Phil the road warrior. We caught Keaggy in concert nearly two dozen times since the early 90’s mostly on his regular treks to the Northeast. But, they have become fewer and farther between. The lyrics to this bluesy ballad played on Phil’s trusty Sunburst Les Paul indicated that he prefers home life to touring these days. He mentioned how he was heavily influenced by Michael Bloomfield. “I use to play along to his records,” said Phil as he shared some examples on the electric. Switching back to the acoustic Phil presented an intricate instrumental from Beyond Nature.The staple “Salvation Army Band” is still a high point of a Keaggy show as he fully utilized his looping machine to craft various vocal blends melding effects that included scratching, strumming and string taps. A cover of “Make You Feel My Love” by Bob Dylan was dedicated to his wife Bernadette who was in the audience on Friday night. Next was another new song that was rather stark allowing the lyrics to stand out. “Shades of Green” was delightful with Phil adding an egg and finger cymbal into the loops for this feisty foray. “He really is a one-man band,” said a voice in awe from the row behind me as she watched Phil play multiple parts, rhythm, leads and instrumentation seemingly all at once with the help of his tried and true Jam Man – an electronic device that he has surely become a master of over many years of use in a live setting. Commenting on the recent passing of Sir George Martin, Phil stated that Mr. Martin was the greatest producer of all time as well as a gracious human being. This observation flowed into a short speech from Phil about Jesus being the most beautiful name. Keaggy continued his testimony saying that George Harrison was a seeker and that Phil loved The Beatles’ song “Here Comes The Sun” because “It makes me think of Jesus”. He finished up saying that He (God) loves you and God will never give up on you. Phil closed his concert with a warm and winsome version of that sunny song. 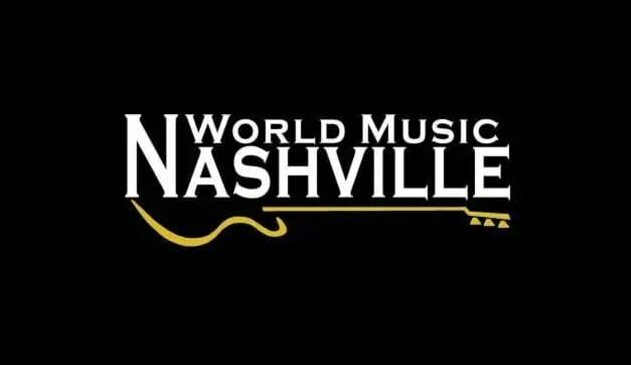 Phil Keaggy along with many other notable artists have performed at World Music Nashville located at 7069 US70 South in Nashville, Tennessee. It is a family run music store with lesson rooms and an intimate separate space for shows. Please check their event page for upcoming concerts and more. Various shades of Phil on display in Nashville.